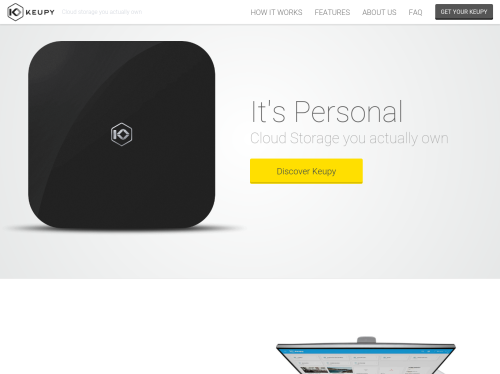 Keupy is your own personal cloud. This means the data you store on Keupy is yours and yours alone. We're not storing it on our servers and, by design, we're not even able to see it. During transfers, your data is encrypted on one end and decrypted on the other, be that Keupy or devices connected to it. With Keupy your data is synchronized over all connected devices, all your smartphones or tablets, PCs or MACs. 2 TeraBytes of cloud storage, enough for you to upload tones of photos and videos, documents and music. We know how important smartphones and tablets are in your daily lives. And we know how badly you need large storage spaces for your media - because you just cannot stop taking photos and videos . This is why we made the Keupy app available for your favorite mobile platform.